What does it take to develop an Instagram clone? People love the concept of sharing beautiful visual content - that’s why Instagram has achieved its present status. Seeing the success of Instagram, it may seem compelling to make something similar. 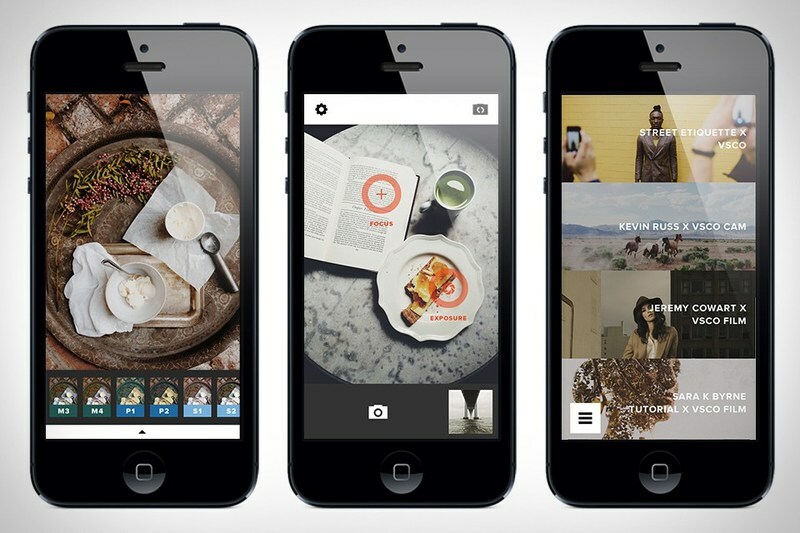 But what does it actually take to develop an Instagram clone? Read on and we’ll guide you through everything you need to know before you start developing your own successful photo sharing app. First, let’s take a brief look at the current photo sharing app market. Even though we titled this article “What Does it Take to Develop an Instagram Clone?” your app doesn't necessarily have to be a copy of Instagram. Many popular apps, like Photogrid, are exclusively photo editing tools that offer instant sharing to other social media apps. Let's say you are set on developing a photo sharing app. 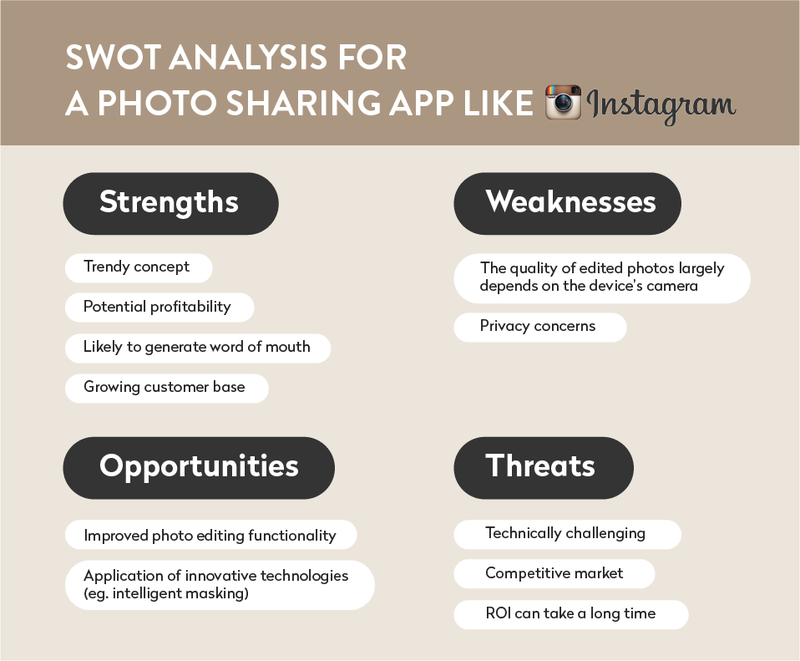 Let’s take a look at our SWOT analysis of a typical photo-sharing app to get a better idea of the market you’re about to enter. The success of your app depends not only on knowing the market, but also depends on setting appropriate goals for your app. One way to set goals is to tie them to KPIs (Key Performance Indicators). 1. Number of active users – How do you get more and more people to use your app? To put things in perspective, Instagram has 1 billion active monthly users. The key ingredient for Instagram’s growth was word of mouth. To gain active users, people need to be talking about your app. Social media marketing: Create a page dedicated to your app on social media and start communicating with your customers on this page before you launch your app. Social media marketing helps you develop a potential user base even before the your app is available. Try the following strategy: Register a social media account 3-6 months before launch. Communicate what you offer in a style that speaks to your target audience. For millennials that might mean memes and funny videos; for professional photographers, it might mean captivating content created with your app. When people share your content through social media you can capture the attention of a broad segment of your market. Keep your followers’ attention by posting at least once a week. Referral program: When you get your first users you can reward them for inviting their friends to use your app. Rewards might include new filters, special photo effects or any other features your app offers. The iOS to-do list app Clear, for example, has a reward system that lets you unlock secret backgrounds by completing promotional tasks such as sharing a story on Facebook. Invite influencers: People who already have popular accounts on other photo sharing apps, such as Instagram, have the potential to boost the profile of your app. So how do you get these people to download and try out your app? One solution is to provide them with free PR, which might include featuring them in discovery pages of your app or in email newsletters. Alternatively, you can offer influencers full access to your app even if some tools are normally paid upgrades. PR strategy: One way to introduce your photo sharing app to a large audience is by getting in contact with relevant bloggers and journalists. Media sites that write about tech startups or photography are ideal targets. If you want your app to gain a reputation among professional photographers, then you should get in touch with prominent photography bloggers. If you’re interested in how to craft the right PR strategy, I suggest that you check out The Bootstrapper’s guide to Startup PR. 2. Engagement – How do you get people to interact with your app? For photo editing apps, engagement is measured by how much time people spend using the app. On Instagram, the average session length is about three minutes. Also, according to Statista, 35 percent of U.S. Instagram users check Instagram several times per day. Provide the highest quality editing tools. Ambitious mobile photographers want to use the best tools on the market - and they’re willing to pay for them. Current high-end features in photo editing apps do cost money, even if the app itself is free. Take VSCO, the “Instagram for professionals”; it’s free to download, but provides extra filters as in-app purchases. High quality editing tools create high quality content. Quality content motivates people to use your app. But a lot of apps already offer decent photography tools, so it might be more rewarding to give people something more original. To offer a product that’s genuinely unique, try taking a completely different approach than the competition. After all, it doesn’t make sense to make a true Instagram clone, since the popularity of Instagram already makes it nearly everybody’s first choice. Albums and stories:With Instagram, your profile is your only album. Why not experiment with multiple albums? You could have albums for different purposes. Some could be private, others shared with friends or family, others fully public and sorted by theme. Themes for public albums could be a city you live in, or could be centered around a shared hobby. Exclusiveness:When something is exclusive, everybody wants to be a part of the club. You can create an environment like EyeEm that caters specifically to professional photographers. Your app can even increase its exclusivity by only allowing screened photographers to post content publicly, while amateurs can use the app to edit their own photos and follow professionals. This lets you ensure high-quality content in your app while stilling giving amateurs the possibility to get discovered. On-demand photos:Another approach is combining the concept of photo editing apps with on-demand delivery. This is the strategy of photo editing apps like Kicksend and SimplePrints. 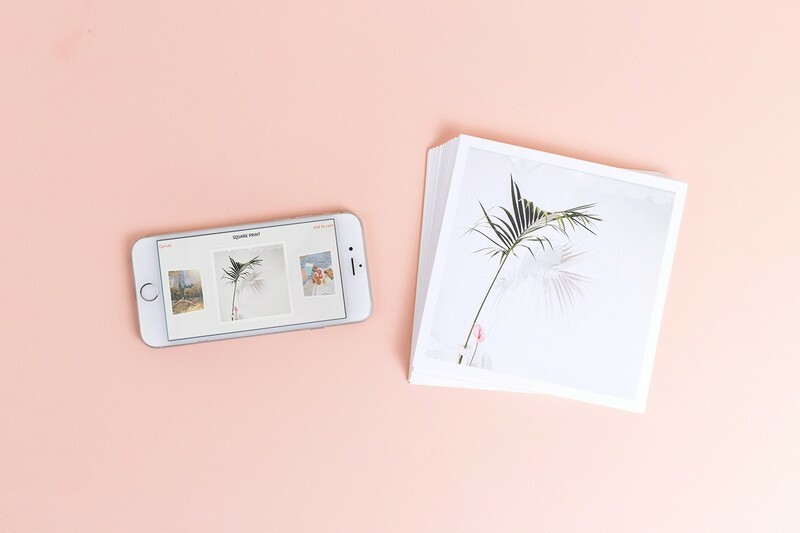 Make an album, get it printed and send pictures to your users by mail. Maybe even send personal post or christmas cards through your app. We built a similar Android app, Parabo Press, for a client. Parabo Press prints your photos in different shapes, sizes and materials, and sends them by mail. 3. User retention – How do you get users to keep coming back? Exciting features might get people to download your app, but even the most innovative features are likely to lose their novelty over time. People may begin forgetting about your app. To remind people about your awesome photo sharing app, you can send them to push notifications every time something relevant happens. We suggest that you schedule notifications when you think your target audience has spare time. Most of your target audience is probably Millennials, since they are the largest demographic for all photo editing apps currently on the market. Since the majority of Millennials are probably students, perhaps you might consider sending them a notification around 8 am, when many might be taking a bus to school, university, or work. Check out my article on how to make an app for millennials for more info. We also suggest that you send your users reminders if they haven’t launched your app in a while - especially around holidays and celebrations. For example, a message where you ask people to share their Valentine's Day or Christmas pictures with their friends. If you simultaneously make an exclusive offer - like holiday-inspired editing tools, including stickers, frames, and snow animations - people will be curious to experiment with your app. You can get inspiration from Facebook. 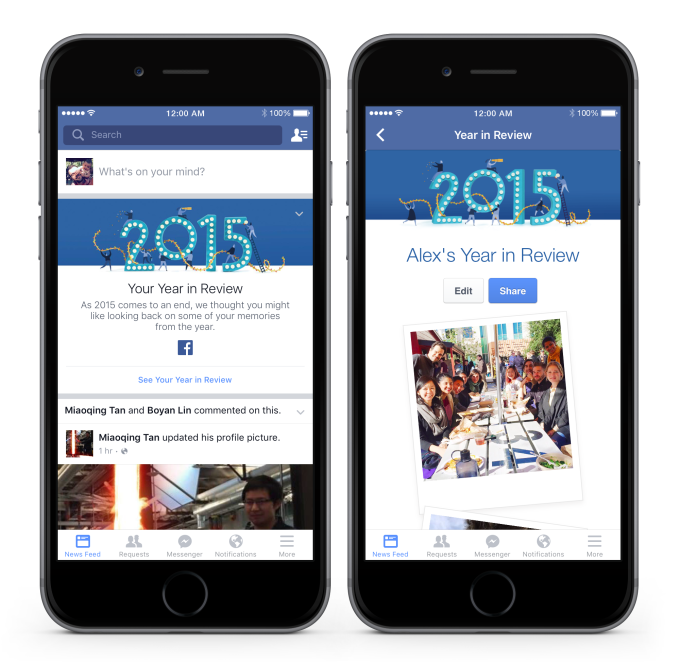 Facebook frequently makes limited-time offers to ‘check out your past year’ or ‘see the history you have with a friend’. Native ads/sponsored marketing.If you look at Instagram, you might have a difficult time discovering where their ads actually are. The strategy of companies that advertise on Instagram is to curate their own profiles, where people can follow them and like their pictures. But their pictures will also appear on people's newsfeeds as sponsored content. Often, this content is so beautiful that it doesn’t bother people. It can be hard to notice that you’re actually looking at an ad! Promoting: Your more ambitious users will likely use your app to get discovered as talented mobile photographers, and possibly use their talent to earn a living. Give them this possibility. You might let users pay for a spot on your ‘discovery’ page, or allow them to pay for sponsored spots in private feeds in the way that Instagram implements their sponsored content. In-app purchases. anything that makes your product unique can be monetized. For photo sharing app VSCO, the unique feature is extra filters. If you’ve made some badass technological advancement like intelligent masking, then this is an ideal opportunity to monetize your hard work. Sell stock photos. EyeEm uses a win-win monetization model. If a talented user opts in, EyeEm will sell photos and split the revenue with the creator 50/50. Now you know what it takes, but what does it actually cost to develop a photo-sharing app like Instagram? We took the time to make an estimate. 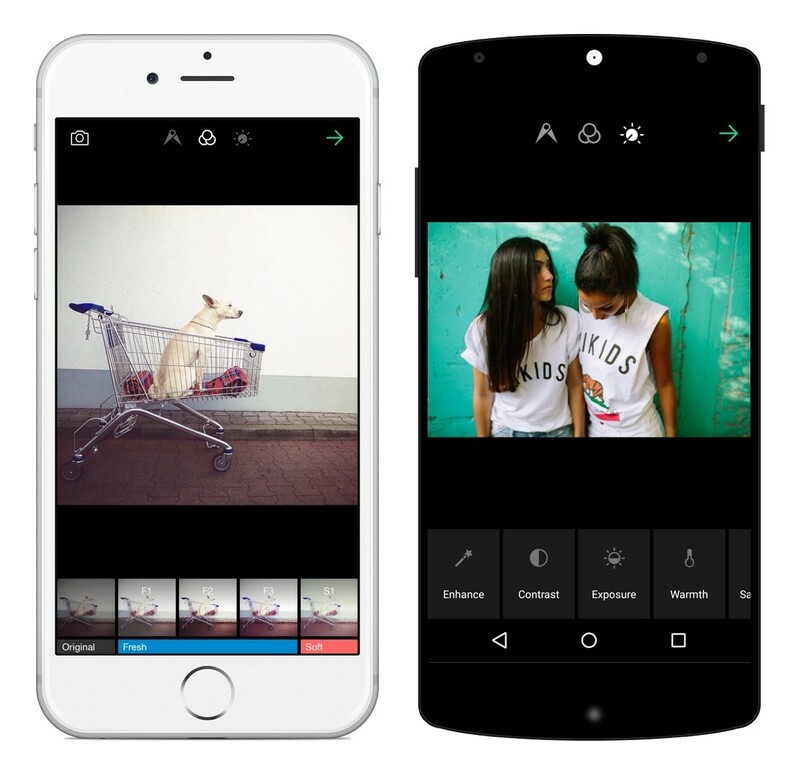 That’s about everything you need to know to start thinking up your amazing new photo editing or photo sharing app. To summarize this guide, check out our recommendations below. Spread the word: advertise your app before launch, and motivate your users to invite friends by rewarding them with filters or tools. Invite influencers and professional photographers to contribute interesting and high-quality content to your app. Design an attractive referral program. Innovate and build valuable editing tools. Take a different approach than your competitors.